Bali was part of my Trip of Wonders to Indonesia last year. It was the last stop on the tour. I was coming from Raja Ampat, which in my definition is paradise. My stay at Bali was short. Taking such a long time to write about Bali is a combination of these two things, coming from Raja Ampat and getting only a few glimpses of Bali. The architecture of Bali is eye catching. It is influenced by Hinduism. 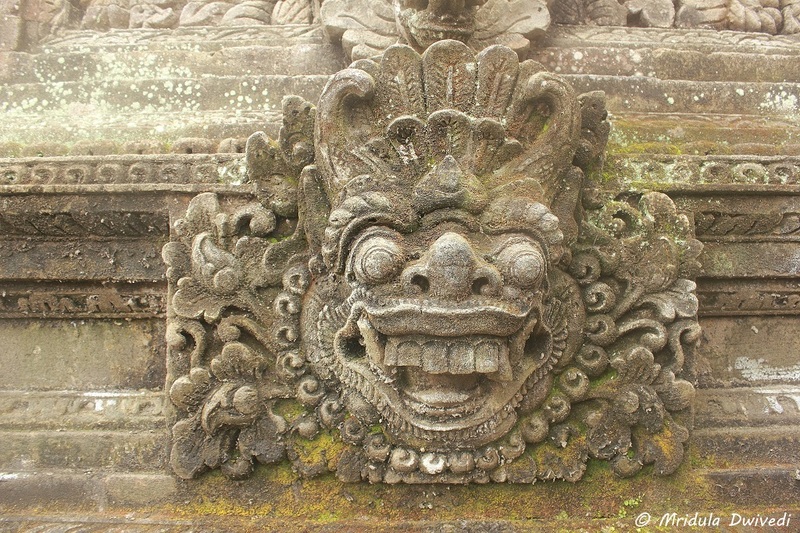 The dvarapala (guardians of the gate) are common in Hindu, Buddhist and Bali architecture. 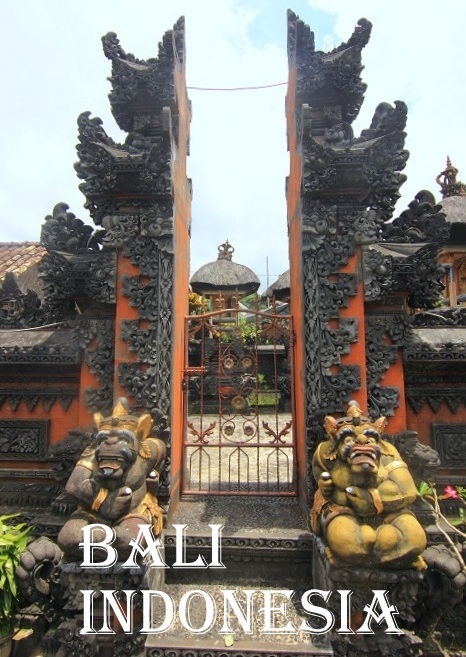 Balinese gates are beautiful, be it to a home or to a temple. 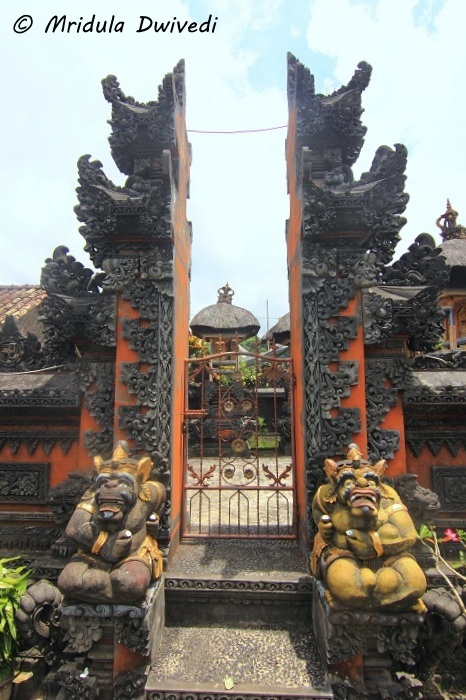 The above is an example of a split gate (candi bentar) to a home in the village of Penglipuran! 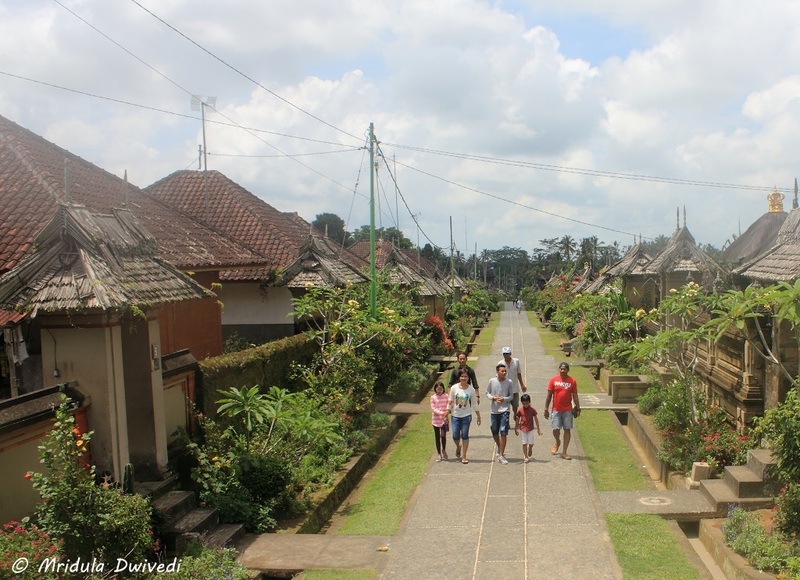 Penglipuran is a traditional Balinese village which is a tourist attraction. It is set in a picturesque area. Time taken to reach the village is about 2 hours from Seminyak, where we staying. Th people are used to tourists. Almost every home has a souvenir shop! 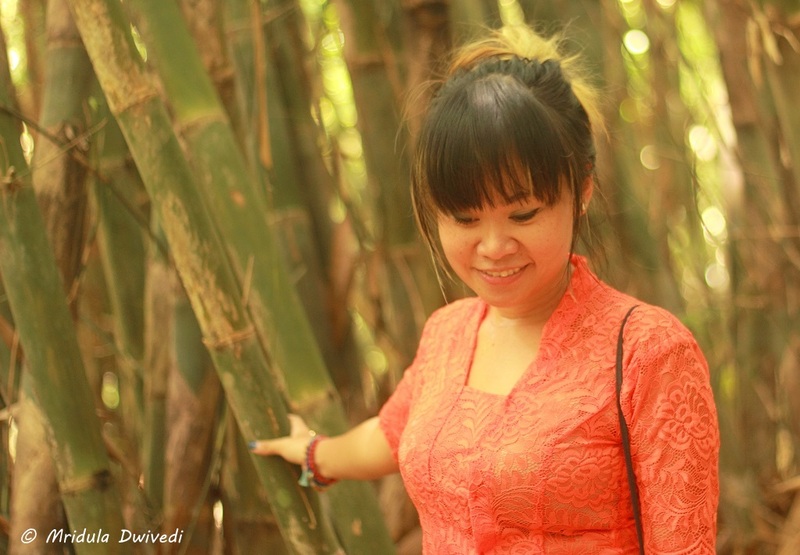 There is a bamboo forest near Pengalipuran Village too, and this is beautiful Hanny Kusumawati from Beradadsini modeling for us! 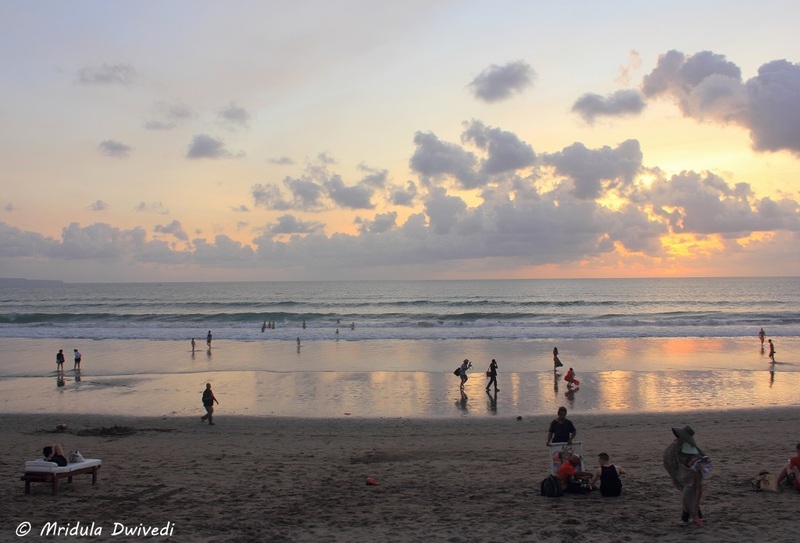 I stayed at the Golden Tulip in Seminyak in Bali. They did wonderful waffles for breakfast! I think I ate them everyday! 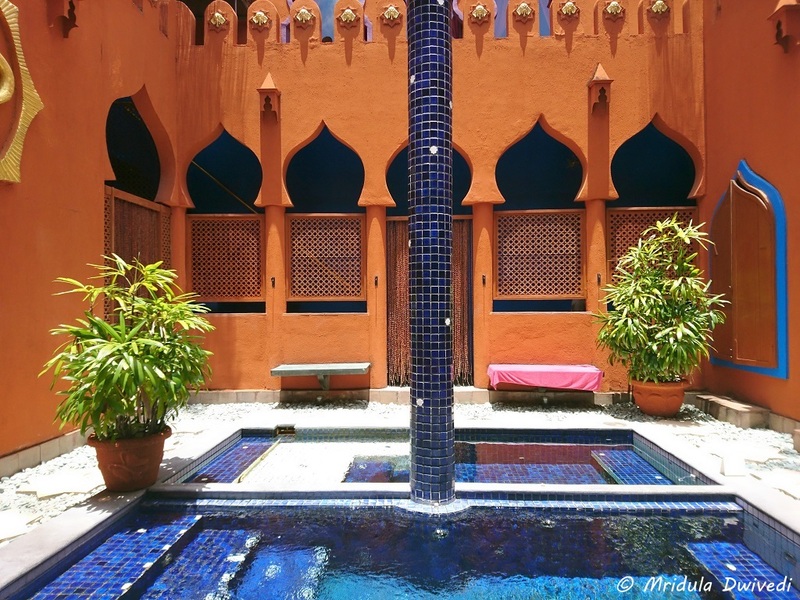 My stay included a relaxing one hour massage at the Prana Spa. It was much appreciated by my tired body towards the end of the trip! It was also a day when I had the luxury of having a late breakfast! It was fun to start the day in such a lazy fashion. 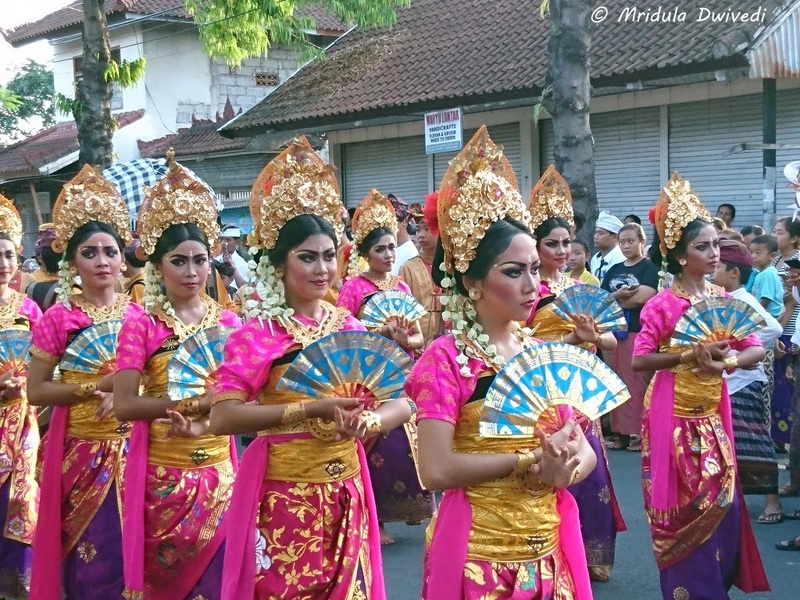 I was lucky to witness a festival on the streets of the Sukawati Market in Bali. I actually became aware of the festival because our bus was caught in a traffic jam because of the festival. 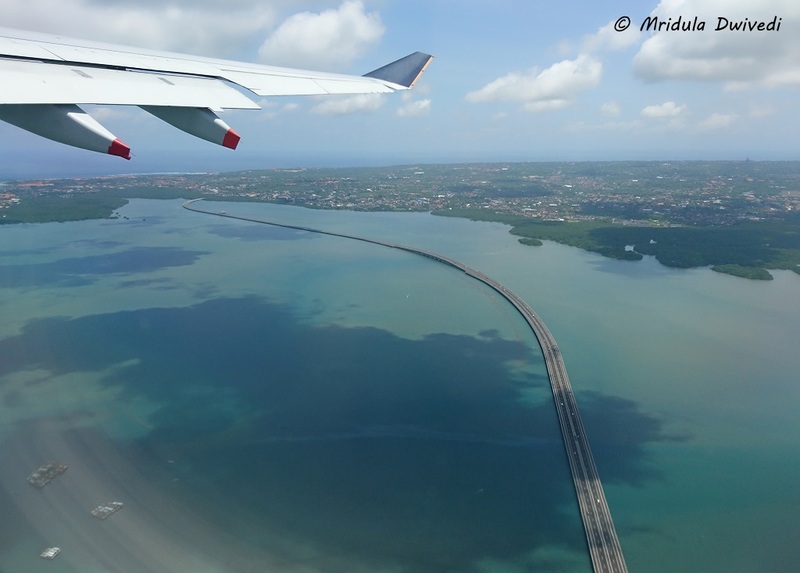 Talking of traffic jams, I witnessed many traffic jams in Bali! 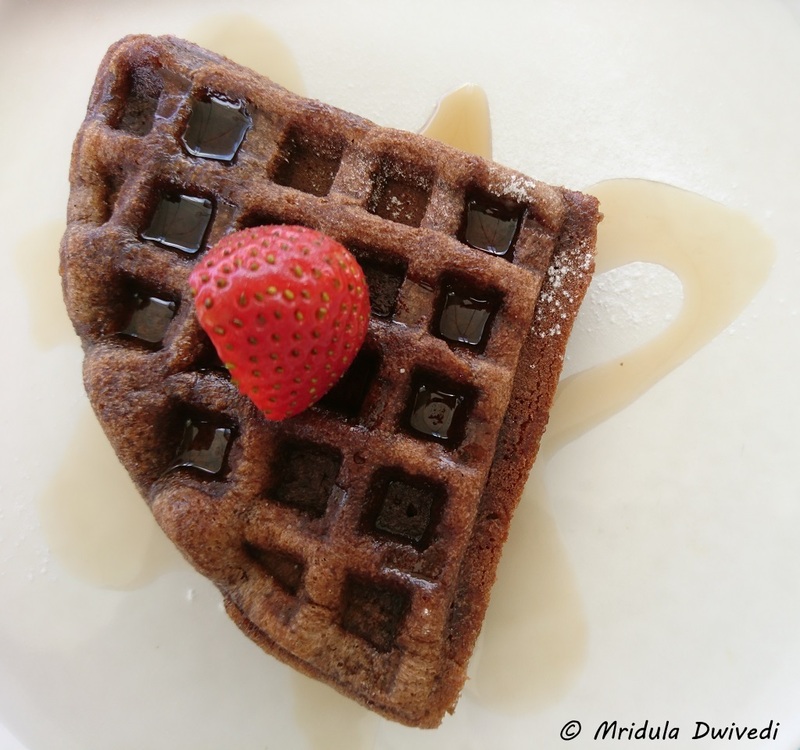 Fellow blogger Prasad has written a detailed account of this festival on his blog! Our farewell dinner was in the Ku De Ta Beach area. We reached there in time for sunset. We were a big group, 40 people in all. The trip happened in November 2016 and yet the trip Whatsapp group still buzzes with messages, not as frequently as before, but it still does! 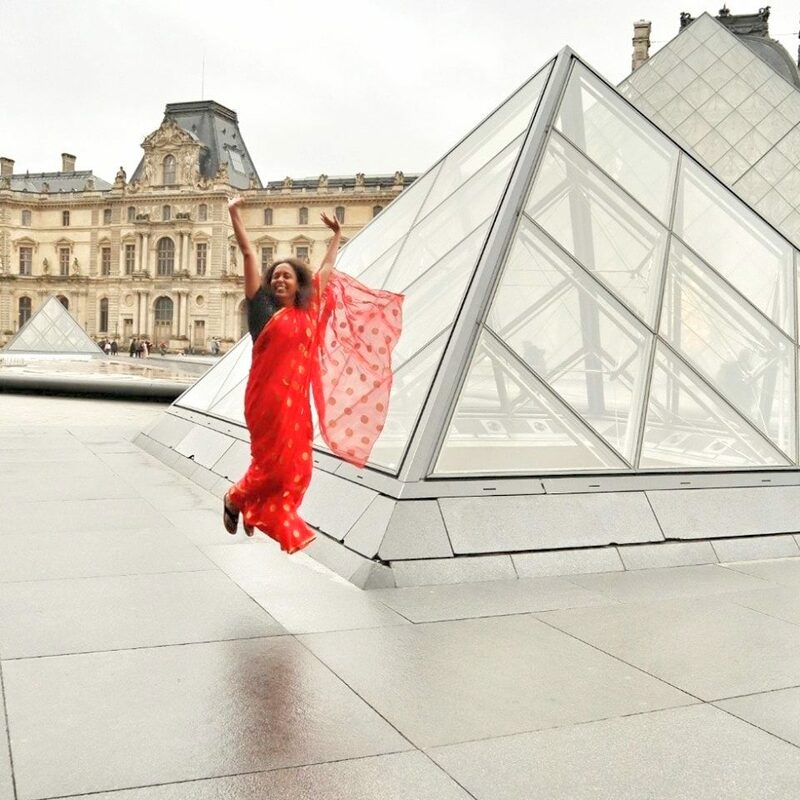 It was that fabulous a trip! I will be honest, at the end of a trip I always want to go home. I get tired, I start missing home, I miss my daughter particularly. But ever since I have come home from Indonesia, I want to go back! I plot about it everyday.